We are so touched to have the reached and surpassed the Giving Day Campaign goal of $500,000!!! Together we raised $506,161.30 in 24-hours! the growth of Chabad House Lubavitch is inspiring and empowering. 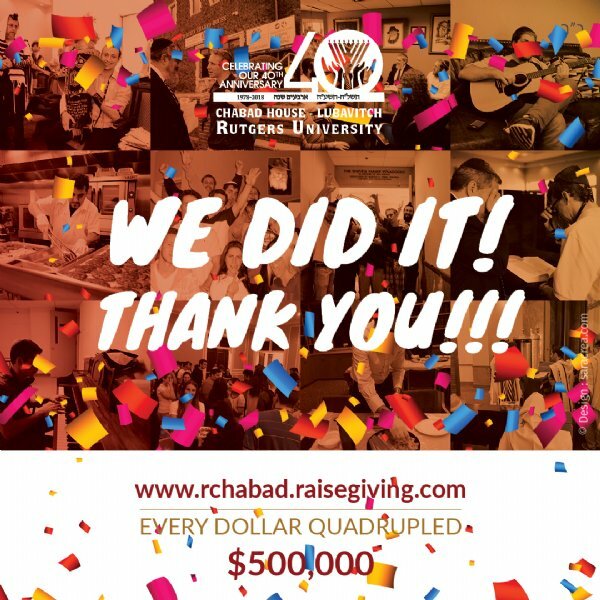 You are welcome to contribute to https://chabadnj.org/donate.asp. young men and women on the college campus.